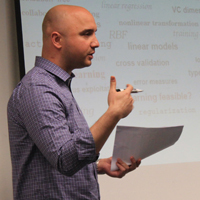 Kaushal Kafle, Kevin Moran, Sunil Manandhar, Adwait Nadkarni, and Denys Poshyvanyk received the Best Paper award at CODASPY 2019. 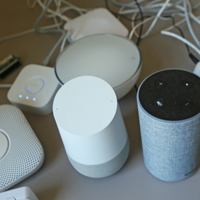 Internet-connected computing objects collectively known as smart home products have become increasingly popular with consumers. 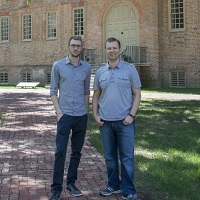 The systems provide a bridge between the digital and physical worlds, which is convenient for automation, but risky for security, a team of W&M researchers has found. 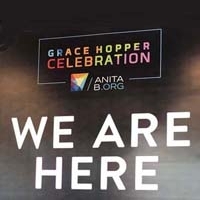 The annual Grace Hopper Celebration aims to "support and inspire women to futher their careers, break boundaries, and transform the world of technology." We remember our colleague Bob Noonan (1944-2018). 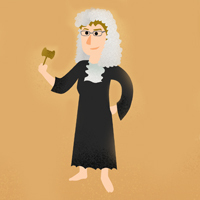 Today, women earn just 22 percent of computer science degrees, a number that has remained stagnant for the past decade. At William & Mary, there has been a different story. 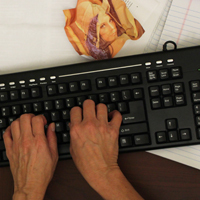 Women are earning computer science degrees at rates well above the national average. 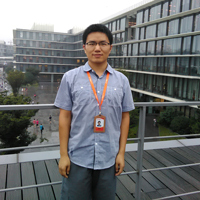 The annual Park Graduate Research Award was given in 20017/08 to Yongsen Ma. 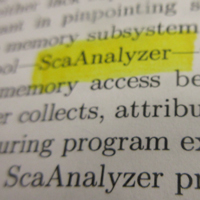 Yongsen was nominated by his advisor, Gang Zhou, for his paper SignFi: Sign Language Recognition Using WiFi, which is published in Proceedings of the ACM on Interactive, Mobile, Wearable and Ubiquitous Technologies (IMWUT). Before computers develop intelligence, they need to learn to process information via neural networks. A small group of computer science students are mastering the complex art of neural networks — one problem set at a time. 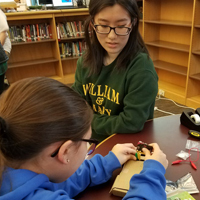 The world's largest computing society honored a W&M group with a community service award for their efforts to encourage middle school girls to become involved in computing. 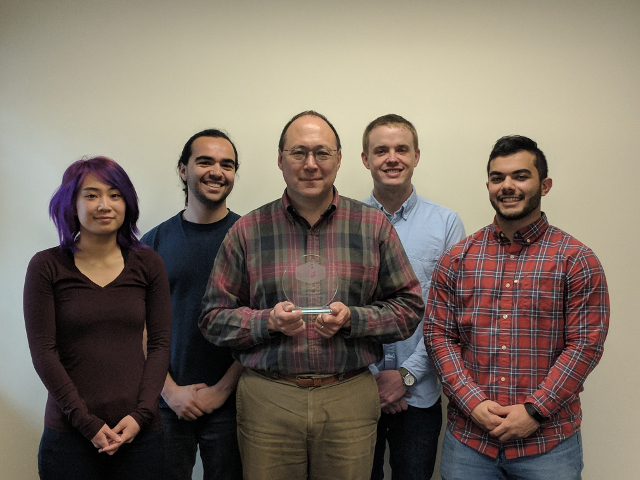 The Chair of the Department of Computer Science, Dr. Robert Michael Lewis, has received one of the 10th Anniversary Plumeri Awards for Faculty Excellence! 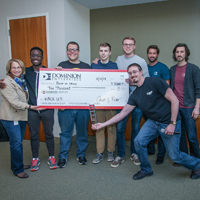 A team from William & Mary placed second in Dominion Enterprise's annual university hackathon. It is the third year in a row that a William & Mary team has placed in the top three. "Featherlight On-the-Fly False-sharing Detection" by Shasha Wen, Xu Liu, and Milind Chabbi (Baidu Research) receives the Best Paper Award at the 23rd ACM SIGPLAN Annual Symposium on Principles and Practice of Parallel Programming (PPoPP'18). The threat started making headlines around New Years. Publications around the globe warned of the biggest computer chip vulnerability ever discovered. Dmitry Evtyushkin had been studying the root of it for years. 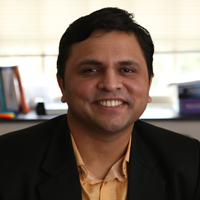 Adwait Jog is an assistant professor in the William & Mary Department of Computer Science. 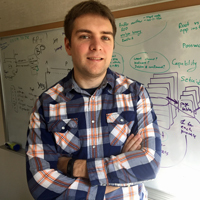 He leads the Insight Computer Architecture Lab, dedicated to advancing the performance of GPUs. 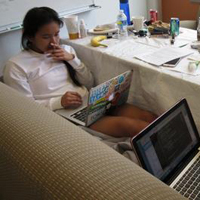 William & Mary's annual student-run coding marathon tribeHacks returns for its fourth year March 23-25. 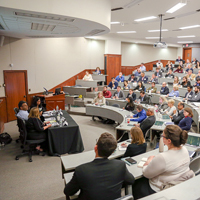 The Raft Debate, a much beloved William & Mary tradition, will be held at the Sadler Center’s Commonwealth Auditorium on March 15 at 6:30 p.m. 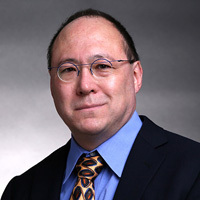 Professor Qun Li has been named an IEEE Fellow. 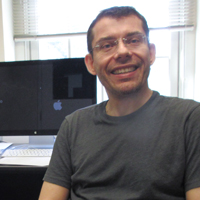 Denys Poshyvanyk, an associate professor in William & Mary’s Department of Computer Science, has spent the past ten years trying to bridge the human-to-computer language gap. 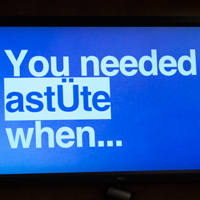 He and a team of students are working toward direct translation and the scientific community is taking note. 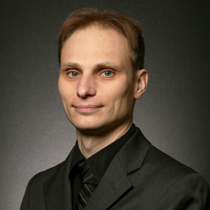 Denys Poshyvanyk and his co-authors will receive a distinguished paper award at ASE '17. Andreas Stathopoulos is part of a collaboration that aspires to simulate the building blocks of matter on some of the biggest computers ever made. Pieter Peers receives a prestigious Plumeri Award for Faculty Excellence. 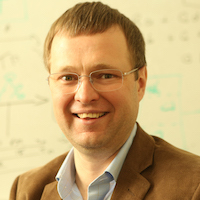 One of Professor Poshyvanyk's papers to be honored at ICPC 2017. Beverly Thompson (PhD '99) honored at the Black Engineer of the Year Awards. 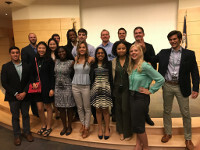 For the second year in a row, a team from William & Mary took the top prize in a hackathon sponsored by Dominion Enterprises. 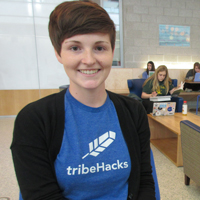 TribeHacks, William & Mary’s annual student-run coding marathon, will move back to Swem Library, the venue of the very first event. 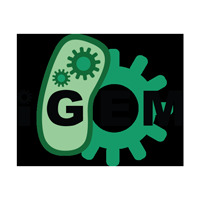 One of Professor Poshyvanyk's papers was honored at ICSME 2016. Pieter Peers receives an Alumni Fellowship. He is one of five W&M faculty so honored this year. 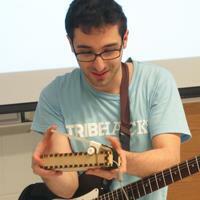 tribeHacks went 32 hours straight from 6 p.m. April 1 to noon on April 3. 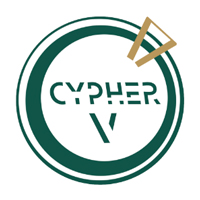 Teams of William & Mary computer science students took both first and second place at the coding and app-creation marathon held Feb. 4 and 5 and Dominion Enterprise’s Norfolk headquarters. 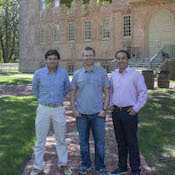 Xu Liu, an assistant professor of computer science, and Bo Wu, a 2014 alumnus of William & Mary’s Ph.D. program in computer science, have developed a tool to find elusive software bottlenecks and which will allow computers to run faster and more efficiently. W&M professor Xu Liu and W&M PhD Bo Wu share the Best Paper Award at Supercomputing '15. Mario Linares-Vasquez and Carlos Bernal-Cardenas, and Denys Poshyvanyk share in an ACM SIGSOFT Distinguished Paper Award at ESEC/FSE'15. Michele Tufano and Denys Poshyvanyk share in an ACM SIGSOFT Distinguished Paper Award at ICSE '15. 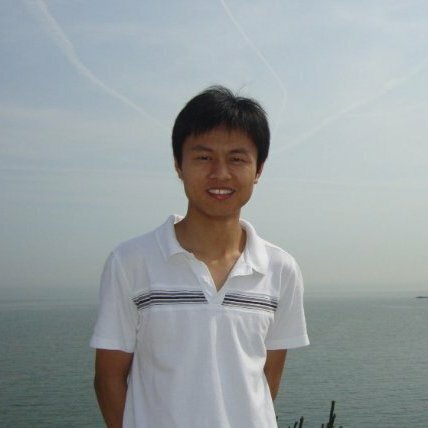 A digital detective - Haitao Xu, a Ph.D. student in William & Mary's Department of Computer Science.